Learn about our roots, religion, mentality, our history but also insides to the rich Serbian heritage. You will find out about special customs and celebrations that are only celebrated in Serbia. 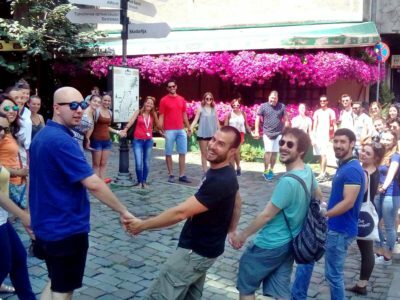 On the on the way to the Temple of St.Sava we will show you the oldest hotel in Belgrade, then Nikola Pasic square and tell you how Serbia was involved in the I and II World War. 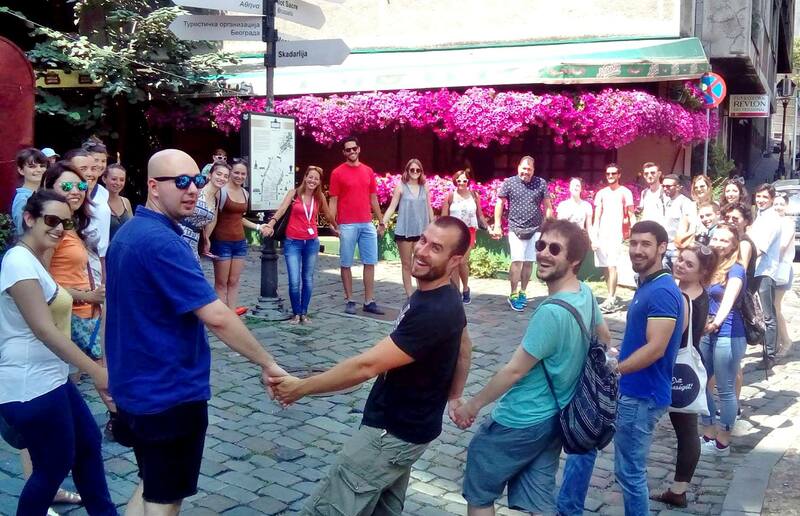 We will pass by National Assembly, Old Palace and you will find out more about Serbian royal dynasties. After we will pass by St. Marko’s church and the building that is still in ruins from the NATO bombing in the 1999. Walk continues across Tasmajdan park heading to the Nikola Tesla museum where you will hear the stories about this genius mind. Final stop is at St. Sava Temple where we will enter to see the crypt. Meeting point: in front of the monument. No reservations needed – just show up! AMAZING TOUR COMPANY WITH AMAZING GUIDES! My mom and I were in Belgrade for four days, and planned to take at least one guided tour a day. 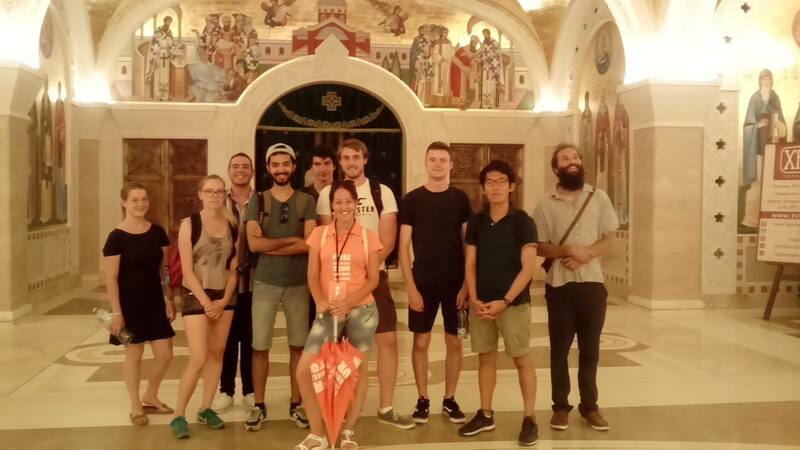 As we arrived at midday on our first day we took a downtown tour in the direction of St. Sava with Jelena, who was amazing and knowledgeable and very friendly!!! 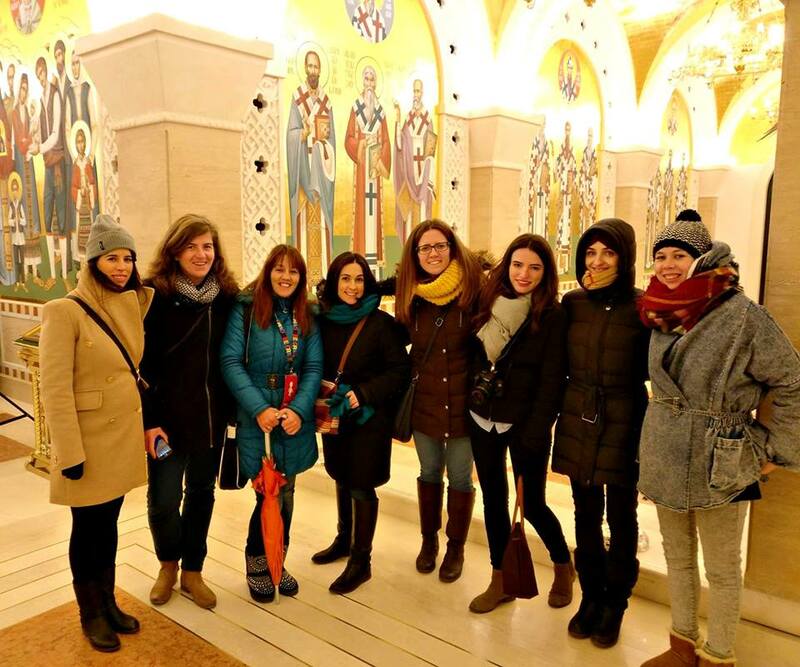 Imagine our surprise when we showed up the next morning for the downtown tour in the direction of Dorcol and she was our guide AGAIN! 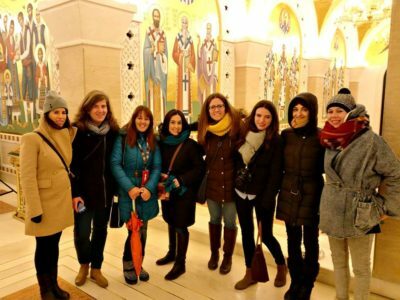 In any case, she was excellent in both tours, and the company as a whole left such a good impression that we came the next day for their tip-based Zemun Tour. 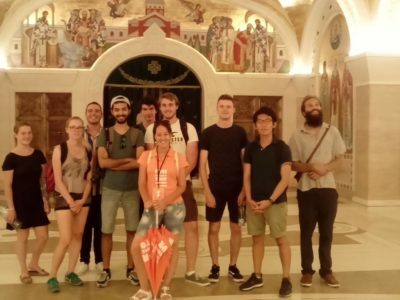 This time, we met the lovely Nevena, who filled us in on history, the Serbian custom of Slava, and also explained to our group (six Israelis) a lot about the differences between Catholic and Orthodox churches. We really enjoyed touring with this company, I think everyone should take at least one tour with them when visiting the city, especially during the first time! Special shout out to Jelena and Nevena, who answered alllllll of our questions and inquiries, and made excellent recommendations!